The Alliance for American Manufacturing (AAM) is a unique non-partisan, non-profit partnership forged by labor and business to strengthen manufacturing in the United States. Between 2000 and 2010, more than 50,000 manufacturing facilities in the United States shut their doors. For the first time since the Great Depression, the US no longer leads the world in industrial production. Meanwhile, manufacturing is thriving in countries like China and Germany, where industry receives strong government support. The Alliance of American Manufacturers was formed to combat this inequity, and came to The Mellman Group and Ayres McHenry & Associates, Inc. to develop the strategic positioning for their efforts. Starting with focus groups in three different locations across the U.S., we interviewed both those who were economically dependent on manufacturing and those who had no direct personal stake. 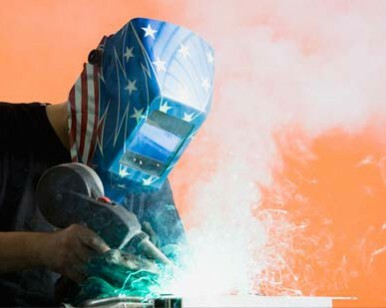 Based on the results of the groups we crafted a national survey designed to determine the perceived economic position of the U.S. in the world, the perceived role of manufacturing in creating a strong economy and a strong national defense. We also examined the extent to which the public believed key political actors were committed to reviving manufacturing and support for numerous policy positions. Based on the focus groups we honed question wording, arguments, messages and proposals, then fielded in a national survey. After providing AAM a comprehensive presentation on all the findings, which included strong support for a National Manufacturing Strategy, we went to Capital Hill, meeting with both Republicans and Democrats emphasizing the importance Americans attach to manufacturing as the foundation of our economy. Leaders of both parties embraced the theme and the strategy, producing several pieces of legislation designed to protect American manufacturers and their workers from currency manipulation, as well as to encourage U.S. manufacturing using new technologies.